UConn Co-op website hacked ! Storrs : A computer hacker accessed the customer database of HuskyDirect.com, a website that sells sports paraphernalia from the UConn Co-op, prompting the store to order the vendor that manages the site to take it down. The Co-op announced Tuesday that it has notified law enforcement of the security breach and informed HuskyDirect.com customers whose billing information the database contained. Information that may have been exposed includes customer names, addresses, e-mail addresses and telephone numbers as well as credit card numbers, their expiration dates and security codes. The Co-op said it is arranging credit protection for the customers. The Co-op is investigating how many of the 18,000 accounts in the database were accessed. Customers who purchased items in the Co-op with a credit card were not affected, nor were students who purchased text books, or made purchases in person at a Co-op store or off-site location, the Co-op said. Only those customers who made purchases through HuskyDirect.com were affected. 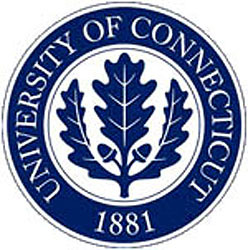 No data stored by the University of Connecticut itself were exposed. The Co-op said it will not put the website back online until it is confident the vendor has corrected the problem. It said the vendor indicated the hacker accessed the database by compromising the vendor’s password.